Leading Manufacturer of cable float switch, side mounting level switch pivoted type, level switch top mounted magnetic level switch, cable float switch series, bearing temperature rtd single circuit and free floating level switch series fsw2 from Navi Mumbai. 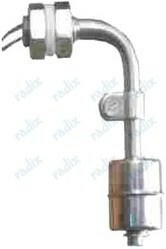 Radix make Cable float switch are available with following specifications. Radix Bearing RTD sensors are designed for temperature measurement in bearings, thrust bearing plates and metal bearing shoes operating in generators, turbines, shafts and motor windings and for areas where there are space limitations. 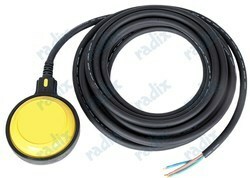 Bearing sensors by design have a sensitive tip, are vibration resistant and with quick response. 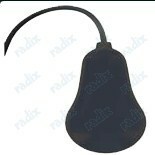 They can be spring loaded into a bearing housing or held in position with a high temperature epoxy resin. 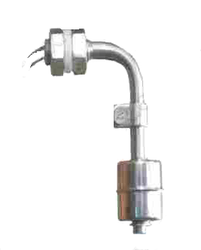 The Series FSW2 Free-Floating Level Switch is a mercury-free self counter-weighted floating switch designed for the automation of pumps, specifically filling and draining of tanks, wells, and reservoirs. The FSW2 body is free of any irregularities making it ideal for use in sewage water applications. ZV1 Series Zone Valves are ideal for flow control in hot and cold water HVAC systems. 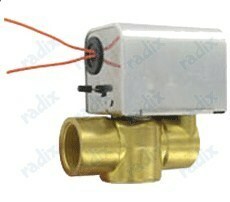 Zone valves are typically used in conjunction with a thermostat to control room temperature. The ZV1 is electrically driven to open and spring to close.Units are available in 1/2", 3/4", and 1" sizes with 120VAC or 24VDC. Line Size: 1/2" to 1"
Service: Compatible liquids and slurries. 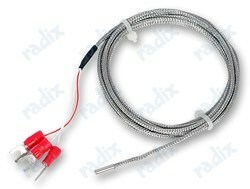 Looking for Cable Float Switch ?